The phenomenal Bongo’s Bingo are returning to Ibiza for their third season on the White Isle, and 2019 is really going to go through the roof. 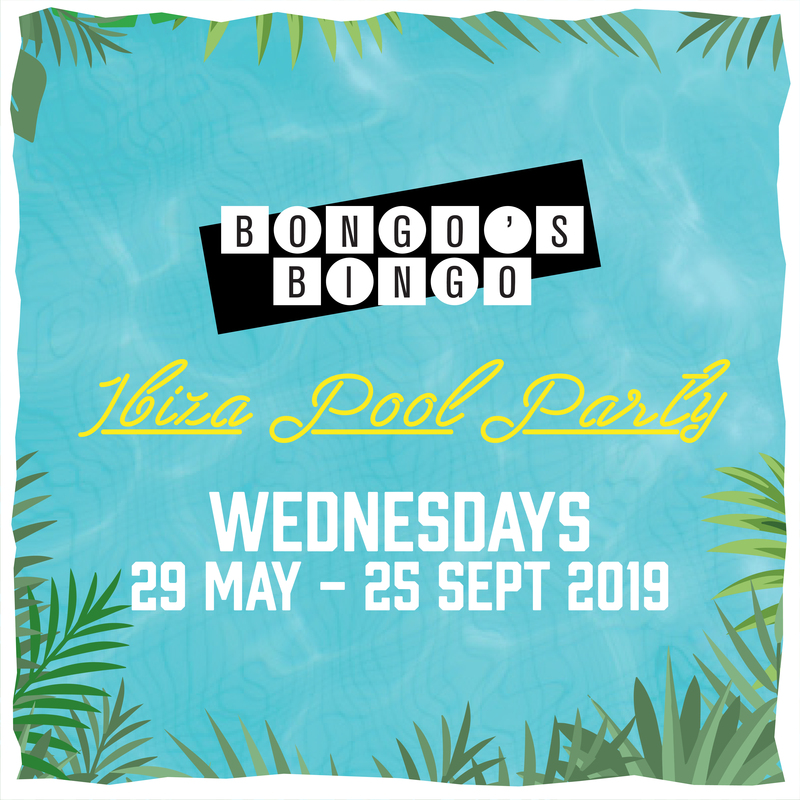 This year, the team are incredibly proud to now reveal they are making their debut at the island’s No.1 party destination, with a series of spectacular day time pool parties taking place every Wednesday at the legendary Ibiza Rocks Hotel. It doesn’t really get much bigger than this, as the iconic open-air setting will host the Bongo’s Bingo magic and mayhem at 17 crazy shows from Weds 29th May to Weds 25th Sept.